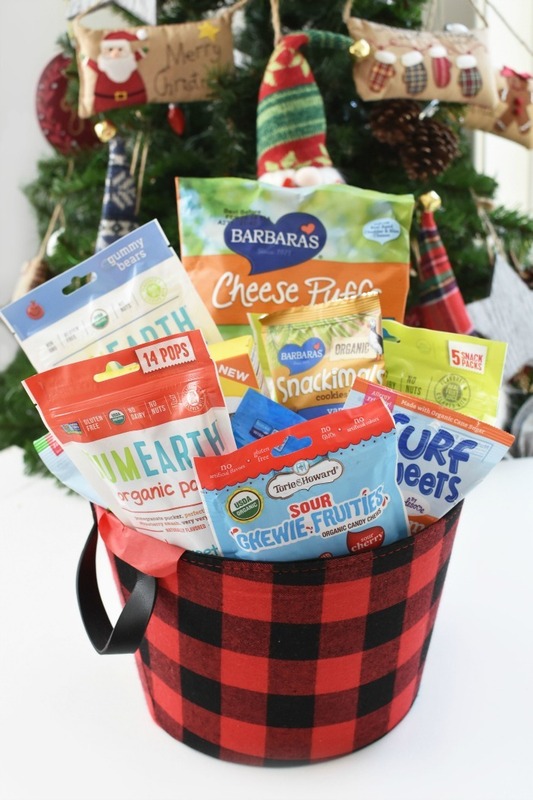 Healthy Food Gift Basket Ideas for Christmas & More! 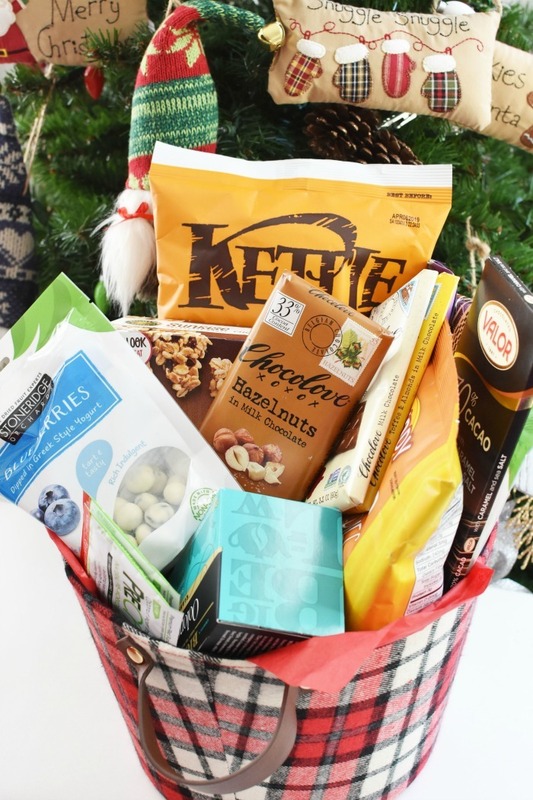 Home » Lifestyle » Healthy Food Gift Basket Ideas for Christmas & More! 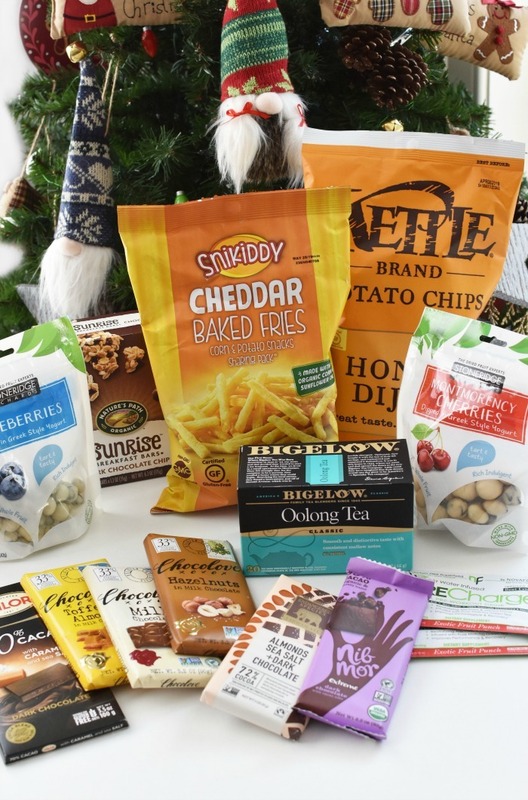 These holiday-themed food gift baskets are sponsored by iHerb. All views expressed are that if our own. I am sure we can all agree that food is life. While we might not all have the same tastes, we all need wholesome foods to fill our belly and help us thrive. 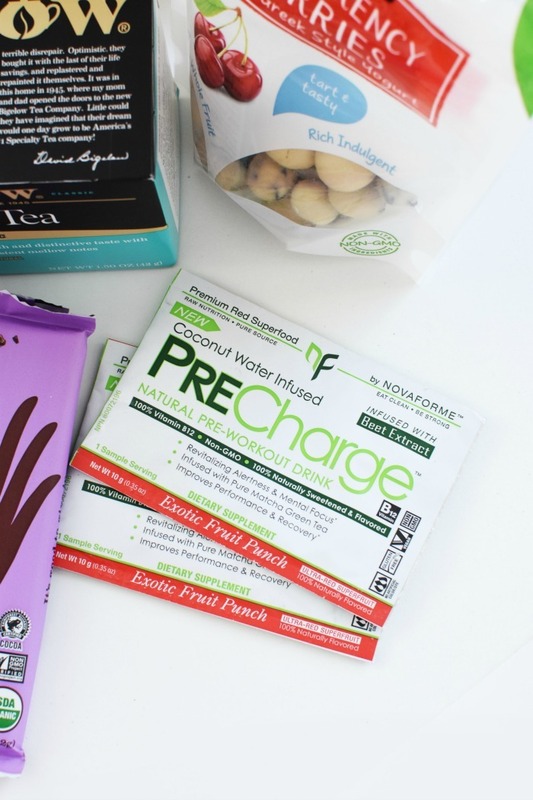 Right now, I am really digging healthier snacks and foods for my family of 5. 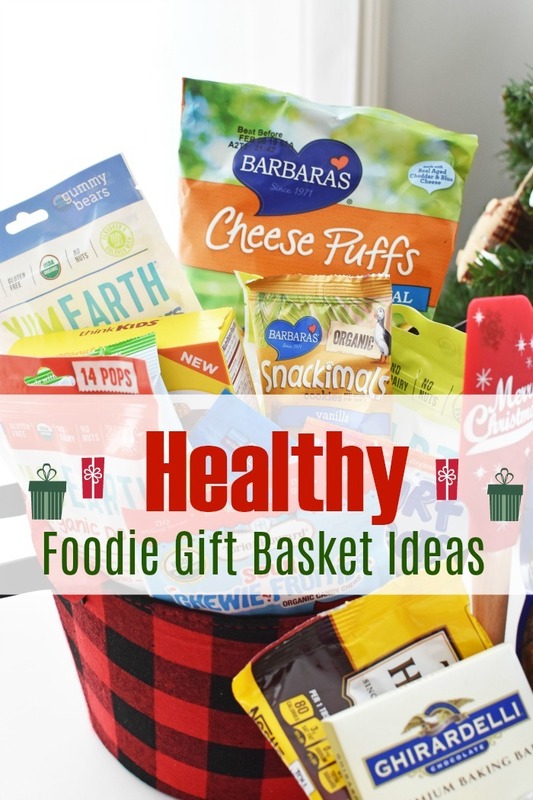 My love for trying new foods that are void of junk and fillers is what led me to create these Healthy Food Gift Basket Ideas for the Foodie on Your List. My love of baking, children, and husband inspired these Healthy Food Gift Basket Ideas. Chances are you too might even have a baker, child, or office worker on your Christmas or holiday shopping list? 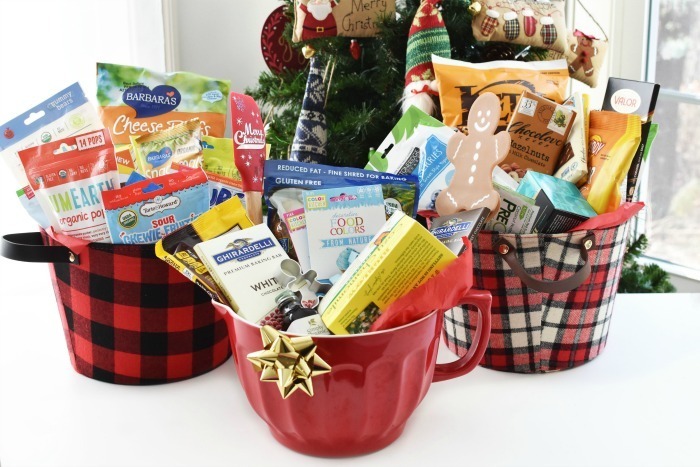 If so, a food gift basket filled with organic, healthy, gourmet foods and snacks is just what they need! You know they will use it, and it surely doesn’t have to cost you an arm and a leg! Have you ever heard of iHerb? This California-based superstore is a global leader in bringing the best deals on over 30,000 natural products to customers all over the world. They have the coolest triple guarantee and offer free or discount shipping to over 150 countries. For just $100 I was able to make 3 healthy foodie gift baskets that I can gift this holiday season. I purchased all the food filler items at iHerb and got the best bang for my buck and quick, free shipping! 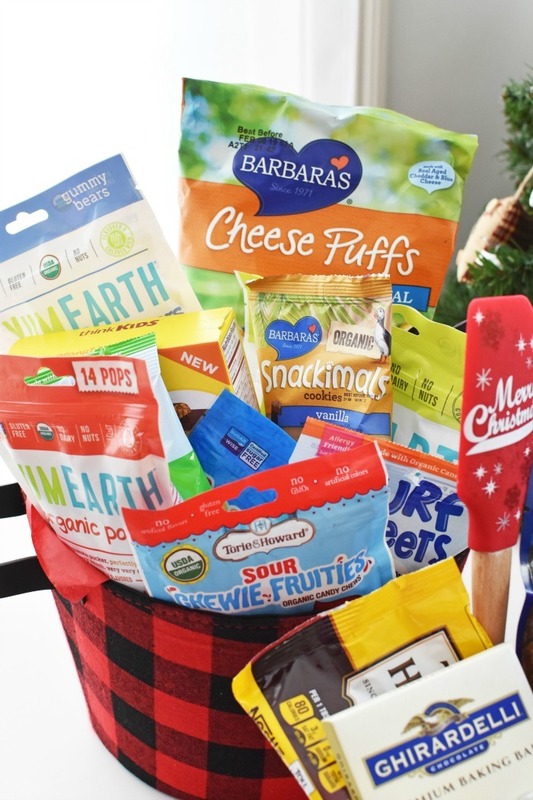 Let’s explore my gift basket ideas for the healthy baker, snacker, and the child. My favorite of these gift baskets is the Baker Gift Basket. For the gift basket, I used a red mixing bowl, and added two festive spatulas and cookie cutters. But, the best part is the food baking ingredients! 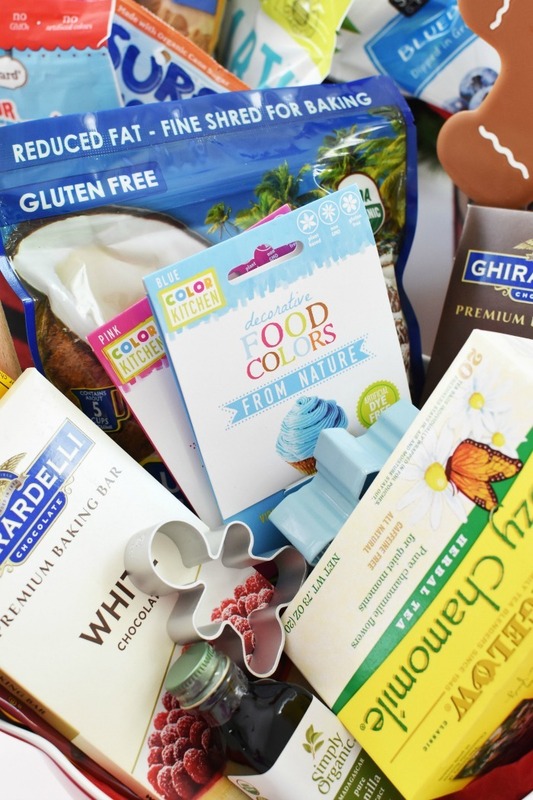 Healthy Baker Gift Basket- perfect for the person who loves to bake nutritious treats. My husband is constantly going through healthy snacks and tea at work. He was my inspiration behind this gift basket. 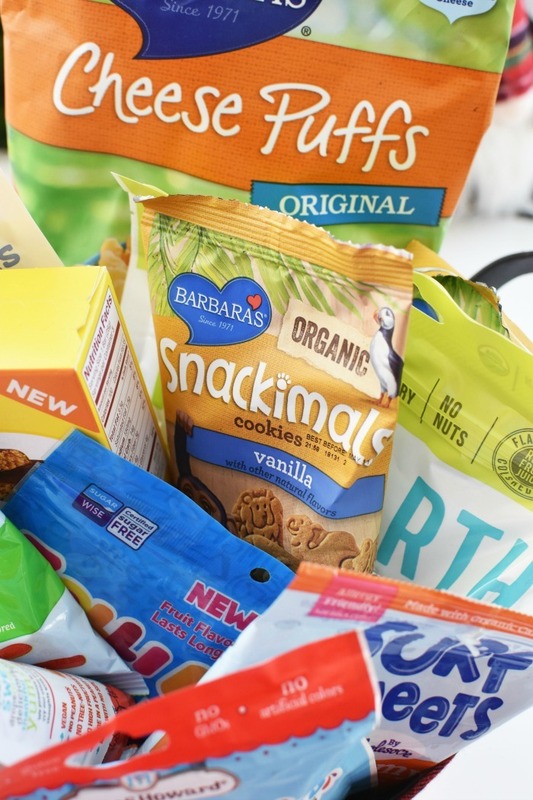 Healthy Snacker Food Gift Basket- perfect for the office worker or person who loves trying new snacks. If you are a parent or have young children in your life–you know how much they love their snacks. These foods are all wholesome and would also make great stocking stuffers! 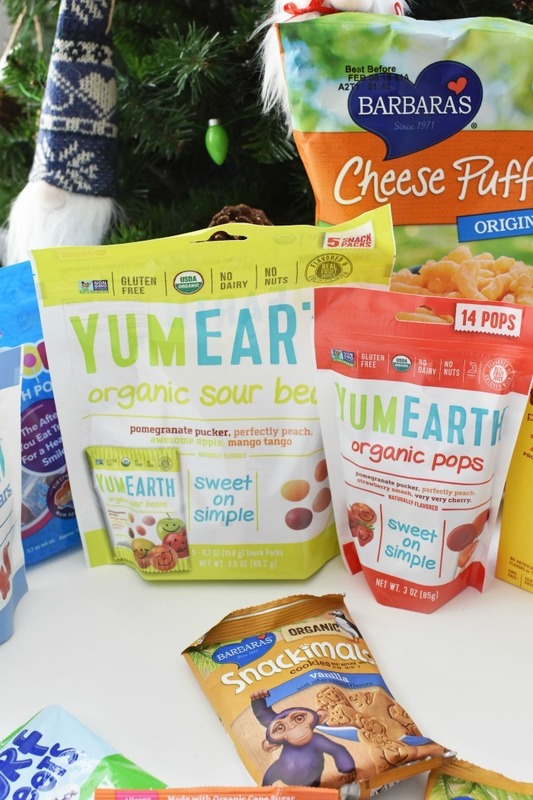 Healthy Children’s Snacks Gift Basket-Perfect for that special child(ren) on your list. Don’t these edible gifts look fantastic? I couldn’t have possibly put together these wholesome and organic options without the help of iHerb! Everything was so inexpensive and there were just so many options! You really cannot go wrong when you shop at iHerb! I cannot wait to see the look on my recipients faces when they see all these amazing foods–many are even organic too!! Which basket is your favorite of the 3 that I made? Your food choices are spot on, for healthy foods. I like the decorative and festive baskets as well. I love the dark chocolate and I cannot resist to any of them. I would like to get these food baskets and fill them with healthy treats and chocolate for my friends and guests over the weekends and holidays. Hi Alayne- Mixing bowl from World Market, and the baskets are from Target Dollar Spot at $5 each this year! This is awesome. i have yet to find something for my secret santa gift.. this is perfect. She is gluten free, so a gluten free, healthy basket is perfect. These are such beautiful gift baskets full of great ideas! I love the variety! Saving this post! 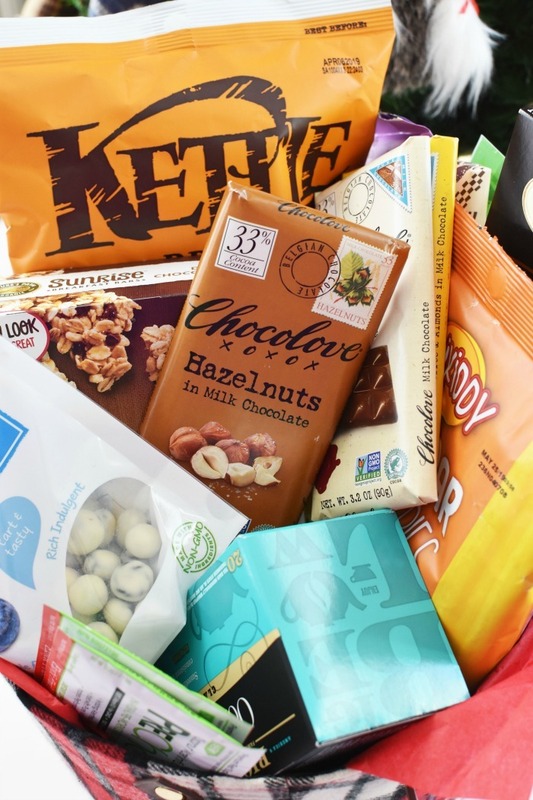 Ghirardelli Premium Baking Bar White Chocolate is my favorite item on the basket! I should also make a Christmas basket for my friends and family soon. It looks like an amazing list. I’ll try to make a similar one.